I built this Jabba's Sail Barge during 2003. It was designed for Star Wars figures collectors. Although it had to be scaled down quite a bit it was still huge, 170 cm long (66,9 inches). The Sail Barge had two different playstes inside that were hidden by removable plates from the ships fuselage, a cantina and Jabba's throne room. 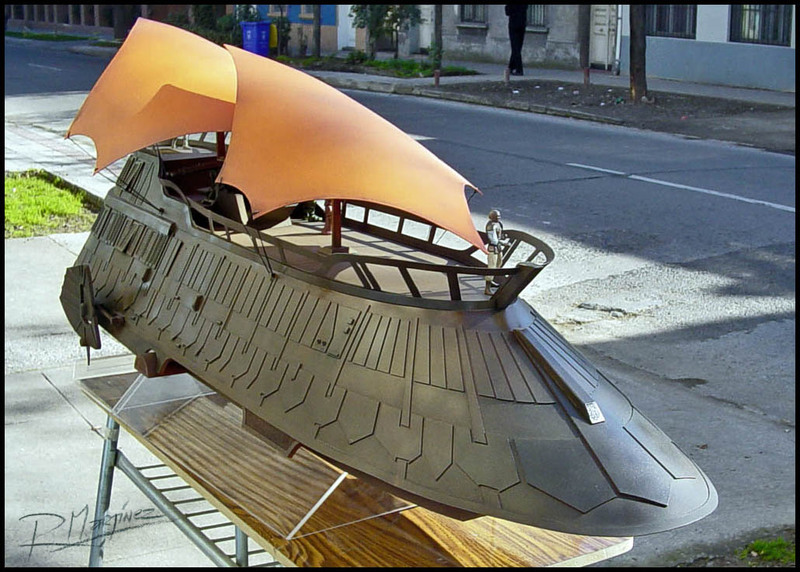 This Sail Barge now belongs to a North American Star Wars Collector.